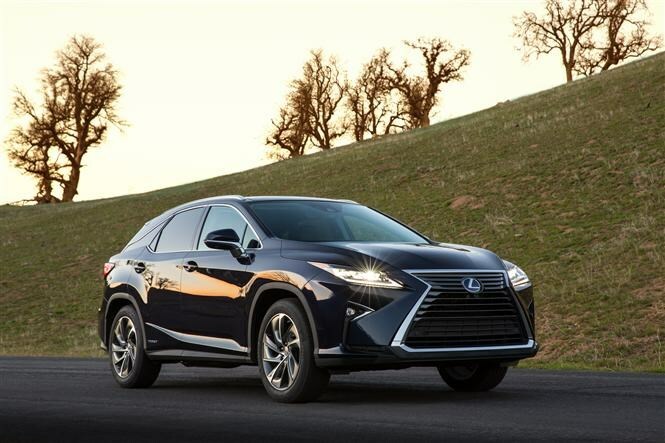 Hot on the heels of its rakish NX sibling, New York’s motor show has seen the unveiling of the larger, fourth generation Lexus RX. Replacing the best-selling model in the range usually means a conservative evolution of models past, but the all-new RX is the boldest model yet to wear the badge. 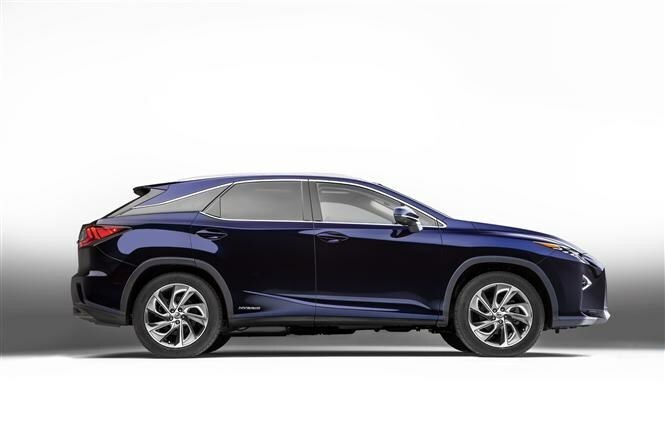 Not quite as sharp-edged as the NX or sporty RC, the new Lexus RX nevertheless employs styling creases, eye-catching detailing and a coupe-like tapering window-line to make it visually distinct from other luxury SUVs. 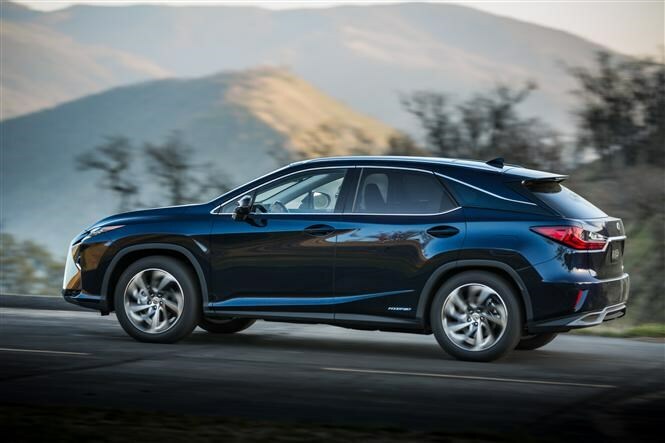 Lexus claims to have complemented the more aggressive looks with an improved driving experience, predominantly by virtue of stiffening the bodywork and its underpinnings, which are also claimed to make the interior quieter and more serene too. All four wheels are driven, as before, while most of the range will be available with adaptive suspension to alter the ride and handling parameters between maximising sportiness and comfort. The range’s highlight promises to be the RX F Sport model, identifiable with its mesh grille, unique-design alloy wheels and, under the skin, a stabiliser system to minimise body roll when cornering. 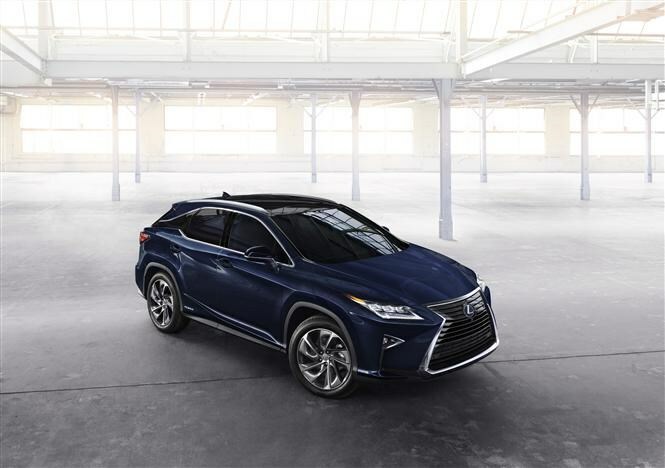 Designed to ensure the new RX is as protective as possible of its occupants is the Lexus Safety System+, which includes collision prevention methods, adaptive cruise control and automatic main beam lights among other features. It’s unlikely that the UK will receive the petrol-only engine option offered in other markets, most probably, as with the outgoing RX, the new Lexus will be hybrid-only. Specific information about performance and economy have yet to be released but combining a 3.5-litre V6 petrol engine with electric drive is expected to produce in the region of 300bhp for the 450h version, similar to the previous RX. We would expect gains to be made in overall efficiency terms with the replaced car’s official figures of 44.8mpg and 145g/km of CO2 bested by the all-new model. Precise figures, along with performance data, will be released later in 2015. Lexus’ cars are renowned for luxury and refinement, qualities claimed to have been amplified in the latest RX. Dominating the dashboard is a 12.3-inch display screen for the infotainment and hybrid monitoring systems, while the automatic gear lever has been moved from its previous position at bottom of the dashboard to liberate more space for front seat passengers. Increasing the new RX’s dimensions – the wheelbase has grown by 50mm, overall length by 120mm – has freed-up additional interior space in the back too. Those seeking further luxury touches and greater distinction can opt for laser-cut wooden interior trim garnishes and coloured inserts in the alloy wheels designs. 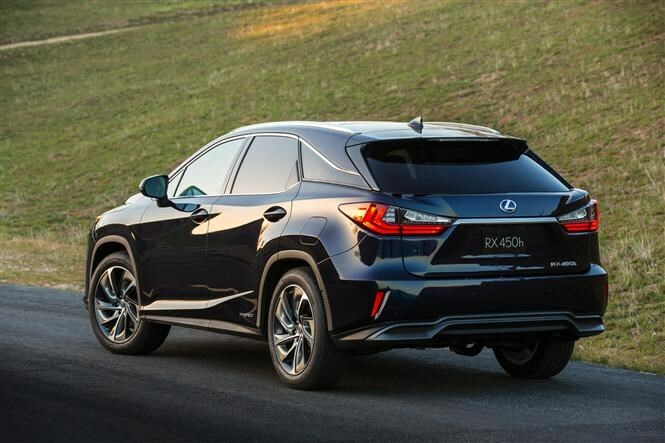 Lexus is yet to reveal exactly how much the new RX range will cost, but it wouldn’t be surprising if they’re higher than the current £44,495 entry point when it goes on sale towards the end of 2015. We’ll be putting the new low-emission SUV under close scrutiny later this year will discover if the new Lexus RX can tempt buyers away from the likes of BMW’s X5, Land Rover’s Range Rover Sport and Mercedes-Benz’s upcoming GLE-Class.